Yes, the photo above is of gumbo, a memory of my travels to Texas in 2013 when I was researching the first chapter of Faith Ed. I went to tiny Lumberton in southeast Texas to followup on controversy over a teacher’s dress-up exercise in world geography class. The chapter is titled ‘Burkagate,’ the nickname Lumberton teachers gave the uproar which consumed the school system for months. 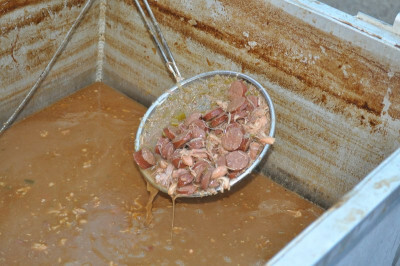 I tried some gumbo at the community carnival held before a homecoming football game. The food reveals some of the local color in Lumberton, which is near the border of Louisiana. The gumbo, alas, was a bit spicy for my tastes. I’m in a Texas frame of mind as I prepare for my talk next week – April 19th – at the Dallas JCC. If you’re planning to attend, you can RSVP using the provided info in the above link. This talk will be done panel style and revolve around the themes of my book. Many thanks to my co-panelists: Mark Chancey, a religion scholar at Southern Methodist University, has heavily researched the Bible as history or literature courses offered in Texas to see when they veer too close to proselytizing. Rabbi Steve Gutow is noted for his interfaith work around the country. 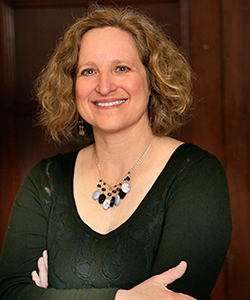 Cheryl Drazin, of the region’s ADL, will moderate. This talk is a bit of a return home. I was a reporter for The Dallas Morning News for six years, covering the city schools for three years and then reporting on higher education around the state of Texas. I didn’t write about religion much at the time, but I was getting closer to my own faith during that period through singing in the chorus at Temple Emanu-El in Dallas. As a journalist, it was also a pivotal period as I began doing more narrative projects alongside traditional news coverage. I did one of my all-time favorite stories in Dallas – a three-part narrative series about an African-American student’s first year of college. She let me into her life and I became her shadow. Today, Netreia, who had many ups and downs as a freshman, has quite a resume, including a Ph.D.
Netreia’s story, called Freshman Chronicles, shone a light on what it was like to be a racial minority at a predominantly white university in a predominantly white suburb. As a journalist and a writer, I’ve always wanted to tell the stories of people often considered the ‘other’ in our society. Faith Ed. includes many stories of religious minorities and what they experienced because of stereotypes. As always, thanks for reading! Looking forward to seeing some familiar faces in Dallas and meeting some new people as well. 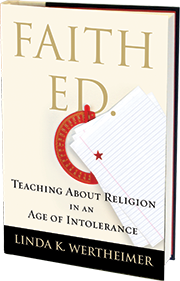 If you’re interested in learning more about Faith Ed., meanwhile, you can get a sense of it in my recent interview with Deily, a website devoted to education about the world’s religions. 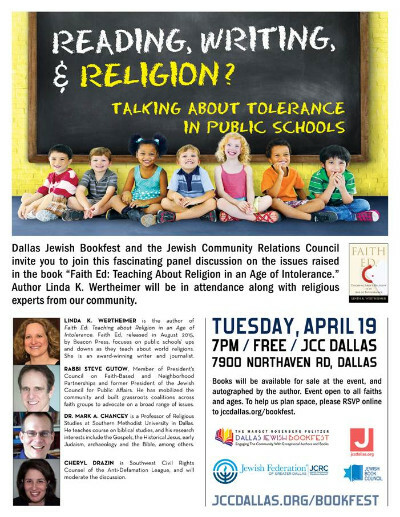 Tagged ADL, Cheryl Drazin, Dallas JCC, Faith Ed, Lumberton, Mark Chancey, religion and public schools, Steve Gutow. Bookmark the permalink.